Layfield has a complete selection of reinforcement and drainage products for all road and bridge applications. 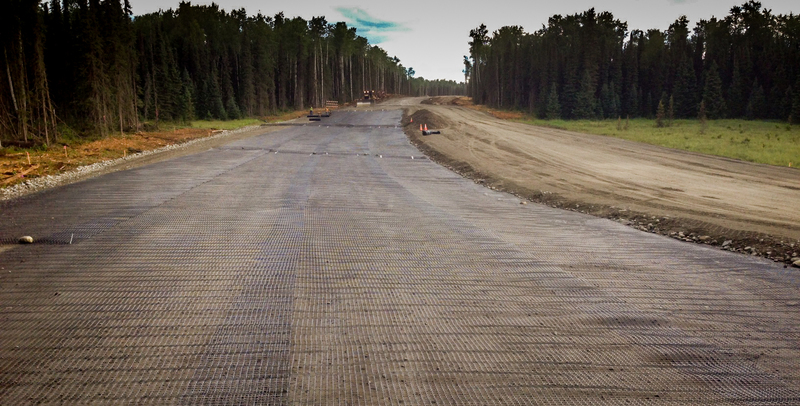 We offer everything from geotextiles and geogrids to complete wall and slope designs. Our featured products for road and bridge construction are our vertical wick drain installations, turbidity curtains, and panel faced MSE walls for overpass construction. Layfield installs vertical wick drains for soil consolidation under embankments and bridges and provides turbidity barriers that can contain silt when building bridge piers in the water. Layfield is also offering precast panel facings for it's MSE wall designs for overpasses and grade separations.